A classic athletic inspired swimsuit top with medium coverage, adjustable straps, and self lined seamless finish. A classic cut swim top that combines Matteau's Petite Triangle and Crop Top styles with medium coverage, adjustable straps and self lined seamless finish. 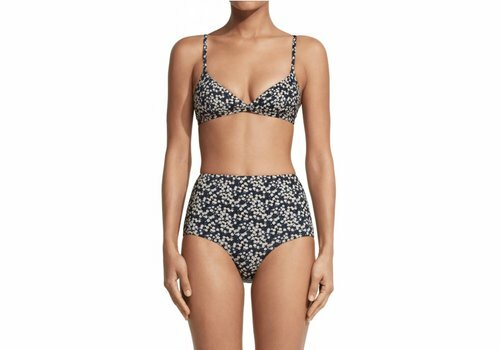 The perfect basic brief swim bottom. Low to medium rise with medium coverage on the rear. Self lined, seamless front. Classic 19050s style high waisted brief swim bottom. High rise with fuller coverage on the rear. Self lined, seamless front.